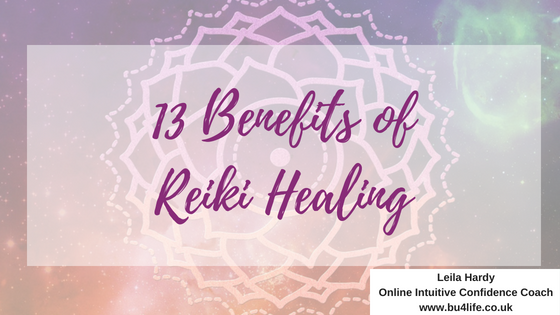 I'm sharing some powerful insights around Reiki energy, intuition and energy in this series of blogs, today, I'm sharing just a few of the many benefits of Reiki healing you can enjoy when you use Reiki, on yourself, or for yourself, or to help others! Reiki is a 'laying of the hands' healing modality, the channel of energy to oneself or a client, who remains fully clothed during a treatment session. Reiki relieves energy blockages and imbalances (the source of dis-ease) to support healing and wellbeing. Reiki treats the whole person including body, emotions, mind and spirit, creating many beneficial effects that include relaxation and feelings of peace, security and wellbeing. Reiki also works in conjunction with all of the medical or therapeutic techniques to relieve side-effects and promote recovery. Reiki is an all round positive complementary therapy, that so many people are now becoming aware of, as recipients, or practitioners. What benefits have you had with Reiki healing? Reiki has been a huge part of me activating my intuition and embracing my abilities as a healer and therapist too; one of the other benefits, which is why I incorporated Reiki healing into my upcoming challenge!